Win a $20,000.00 check. Open to legal residents of the 50 U.S./D.C./Canada who have reached age of majority at time of entry. Regular Season portion of promotion begins 6:00 P.M. 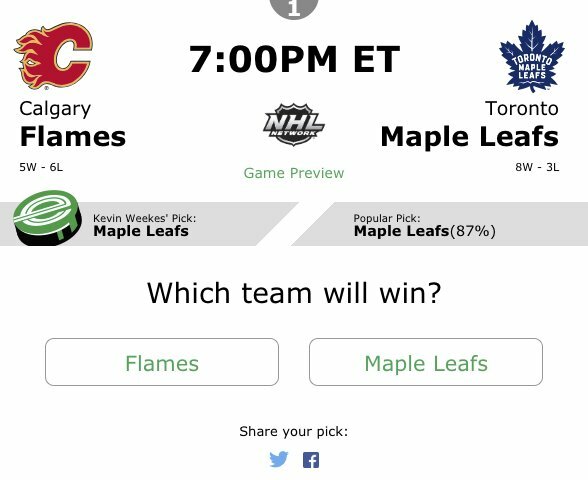 ET Sept. 28, 2018 and ends upon the start time of the last game of the Regular Season. Regular Season Grand Prize: $20,000 check. Weekly Prizes (24- 1 per week): Two tickets to a Regular Season NHL game [no transportation] (ARV $300). Regular Season Period Prizes (3): $10,000 check. Playoffs Grand Prize: $10,000 check. Playoffs Round Prizes (4): Customized NHL jersey (ARV $200).